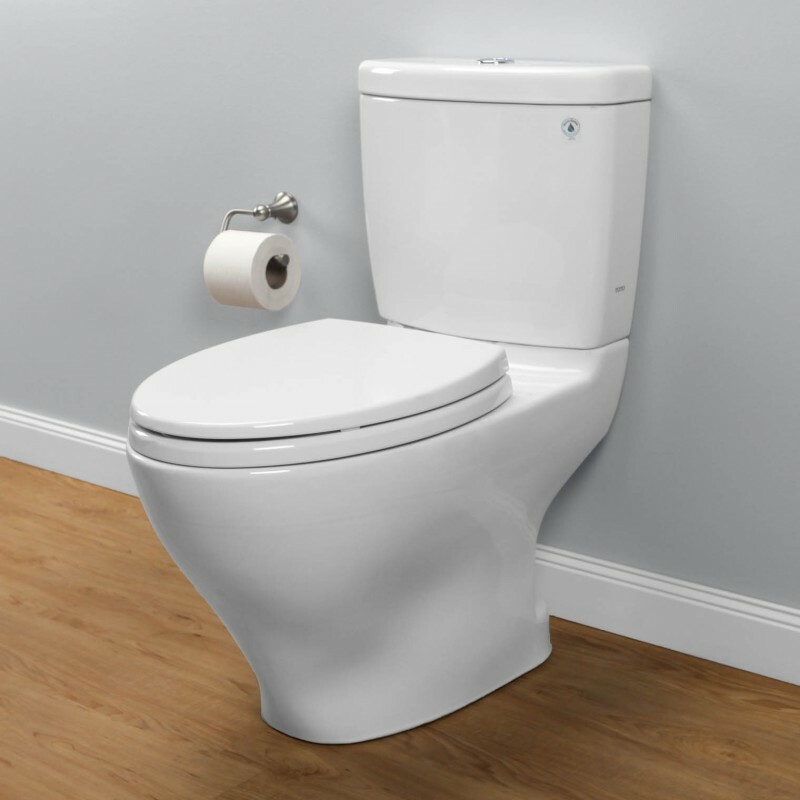 TOTO is one of the best manufacturers as far as toilets are concerned, and as such, has lots to offer. 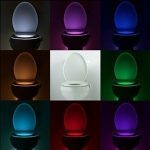 They offer many different models, so everyone can find the best toilet for them. 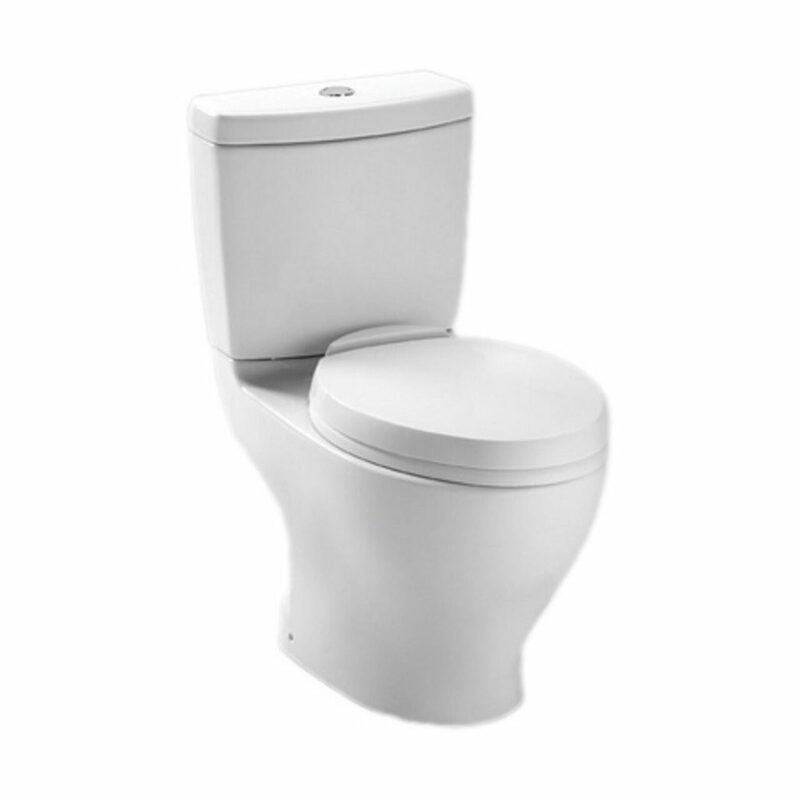 However, today, we want to focus on only one product and that is the TOTO Aquia Two-Piece Toilet. 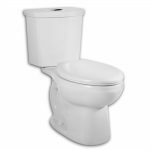 If you are looking to buy a high-quality toilet, you’ve stumbled upon the right article. Let’s take a closer look at the TOTO Aquia and what makes this such a popular choice. The low flush setting may not be so powerful to clean the toilet perfectly. 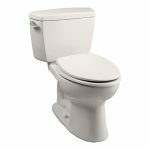 The TOTO Aquia toilet is a two-piece toilet that is easy to install. With its simple design, it looks remarkably good and stylish. 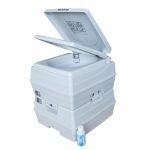 In addition, the TOTO Aquia is durable and sturdy, coming with a 1-year warranty. The dual flush mechanism makes this unit a good choice for those environmentally concerned users, as it promotes less water consumption. With all this being said, it is not surprising that this toilet comes with a more expensive price tag, but it is well worth it. And that is the only thing that matters, right? First, let us talk about the design of this unit. This model is a two-piece, thus it is much easier to install in a smaller bathroom. Also, the base is lighter, making it easier to move and lift. 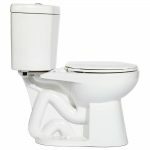 What makes this toilet one of the bests on the market is the universal height. Meaning, the height, and the shape comply with the ADA specifications. However, the flushing system works via buttons instead of a lever. This means that the toilet doesn’t fully comply with the ADA specifications. Therefore, it cannot be installed in the restaurants, cafes, and other public places. As for the appearance, this is Cotton White model. It looks gorgeous and elegant, due to its simple design. You might think that the toilet cannot improve the overall look of your bathroom, but that only means that you don’t have the right toilet. However, that’s about to change with this model. In case you are looking for something different, then choose the Ebony model. Its dark finish will add a powerful and mysterious touch to your bathroom. There are also a few more colors to choose from – Bone, Colonial White, Sedona Beige, and White, to suits everyone’s taste. So, whichever one you opt for, rest assured that you will love its modern look. 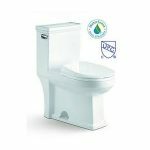 Thanks to the dual-max flushing system, this toilet uses less amount of water, making it ideal for those who are concerned with their water bill as well as with the environment. There are two flushing options you get to choose how much water will be used. The first one uses 1.6-GPF and the second one uses 0.9-GPF. 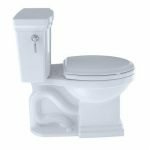 However, keep in mind that the low flush function may not always leave your toilet clean like the more powerful options will. Furthermore, the toilet meets the EPA water sense standards. This toilet is highly efficient, contributing to the water consumption. What’s more, this toilet is quiet. So, you don’t have to worry about the noise. This is a great plus, considering that many toilets on the market make too much noise. On top of all, dual flush buttons work flawlessly, and will not get stuck (compared to other models on the market). What you will surely appreciate about the TOTO Aquia is that it is easy to clean, like most TOTO toilets. First, the toilet is efficient and will clean the waste quickly. This means that you will not have so much cleaning work to do. Next, the unit has an elongated shape, making cleaning simple and fast. Lastly, this toilet is white, so the stains and the dirt will be easy to notice. So, you won’t have any difficulty in seeing what area you have to clean in a more meticulous way. Naturally, the cleaner the toilet, the longer its lifespan will be. Speaking of which, this toilet is made of high-quality materials – vitreous china while the buttons are made of chrome. The unit will not break and clog. Besides, it will last you for years to come, making it a worthy investment. That being said, this model comes with a 1-year warranty. 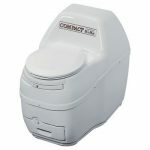 When it comes to the installation, this toilet doesn’t require much of a hassle. In fact, you can install it on your own, because it is that easy to install. So, you won’t have to pay to an expert to install the unit. The two piece design makes installation a whole lot easier, and the compact size only adds up to that. As far as the price is concerned, well, that's more of a personal opinion. Many may find it more expensive while others feel it is absolutely affordable. However, if you are willing to invest in a high-quality product, this is the way to go. Paying anywhere from $400-600 for a toilet might seem too much, but in the long run, it will definitely pay off. There you have it –an in-depth TOTO Aquia review. We hope this review helped you make an informed decision so as to make your purchase a whole lot easier and of course, successful. 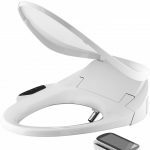 Coming from the best brand, this toilet works like a charm, and it might be just what you need. It is efficient yet uses less water. Moreover, it is quiet, easy to install and clean whereas its modern design will add a nice touch to your bathroom. What more could you ask for? Ready to Purchase the Aquia?